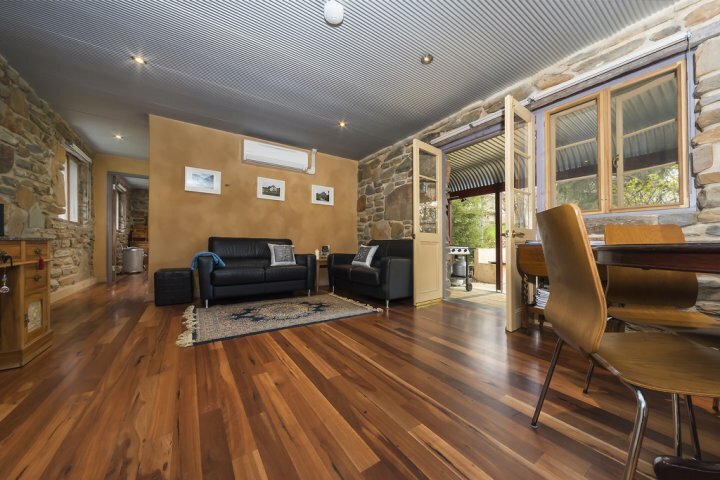 Recharge your senses and enjoy a restful escape in the heart of boutique wine country at 1860 Wine Country Cottages, only an hours drive from Adelaide. - Explore new tastes. Work your way through our three unique Boutique Wine and Food Trails, designed to give you a taste of the very best Eden Valley and the Adelaide Hills has to offer. - Take a stroll on the wild side. Take your time and explore our neighborhood set amongst vineyards, rolling hills, farms and wildlife. - Experience the quiet of the countryside. Breathe in the fresh country air while you soak up the sun in your private outdoor area. Listen to the birds call and watch them wheel around the sky. Hear the wind whisper through stately red gums. Feel yourself unwind! - Rejuvenate yourself. 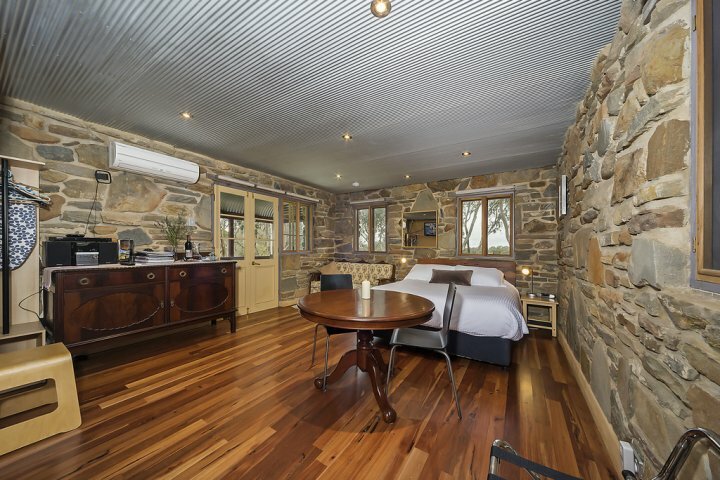 Rest up in your secluded luxury stone cottage. They ae the perfect mix of picturesque and contemporary style. 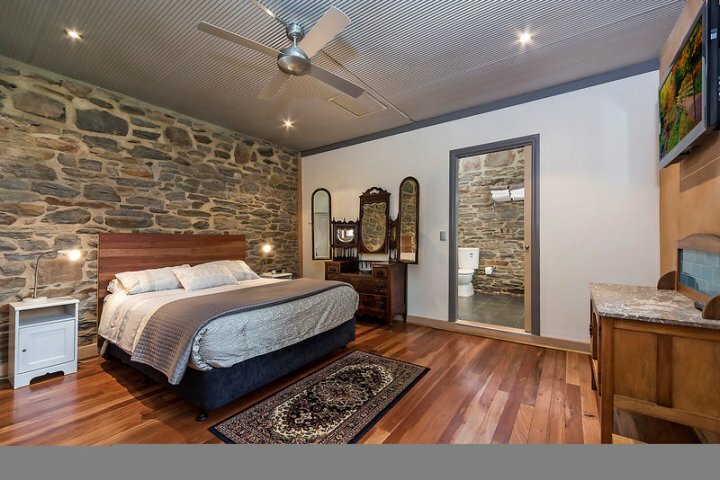 Our three cottages and The Homestead provide totally private escapes that merge the beauty of stone with all the contemporary amenities and touches to make your stay remarkable. The Kuchel family built our homestead and outbuildings in the 1860s. 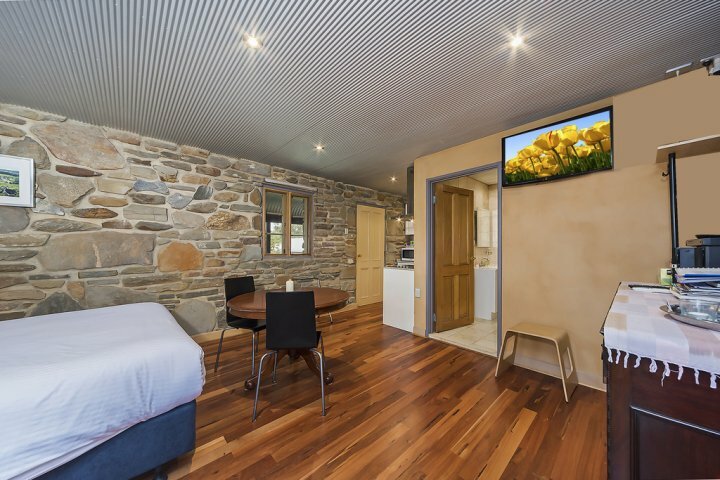 We have rebuilt the old Kuchel stone dairy to create two adjoining, fully self-contained cottages we have named them Sunset and Dawn to match the best views you can capture from their private outdoor areas. We have also restored a very old stone building to create The Stables, the ultimate in pampering, with generous proportions, a private garden, cathedral skylights, luxury spa and cosy wood combustion fire. 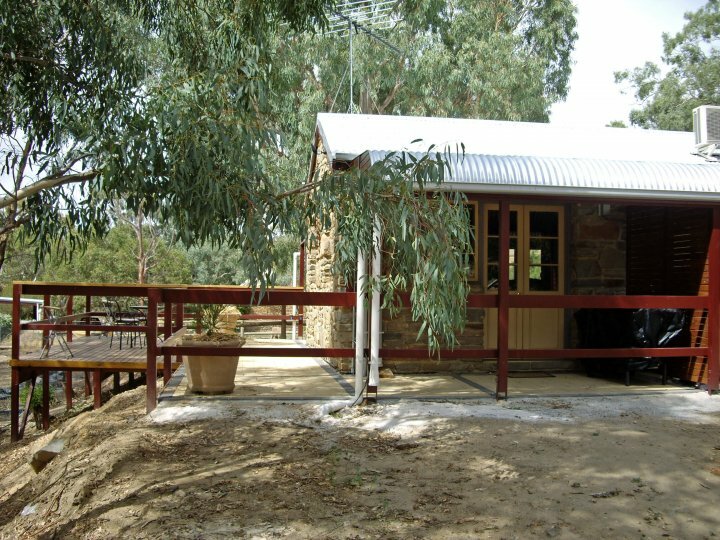 At certain times of the year when we are not in residence, we offer the Homestead for short-term residential use. 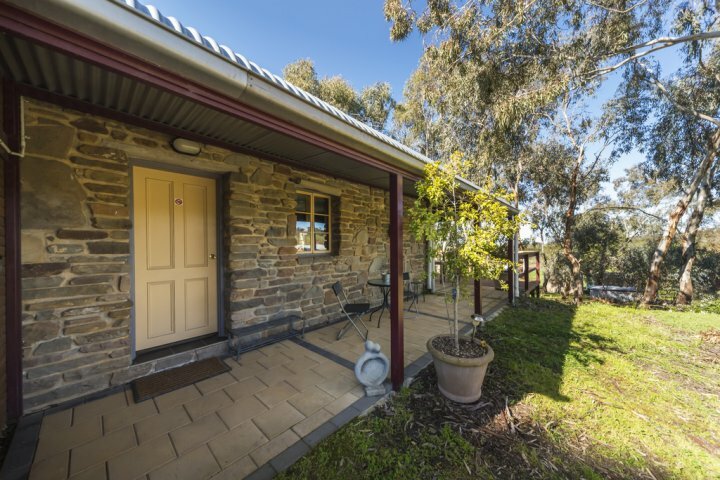 If you are looking for a peaceful country experience with all of the comforts of home, the Homestead offers everything youll need for a relaxing break. 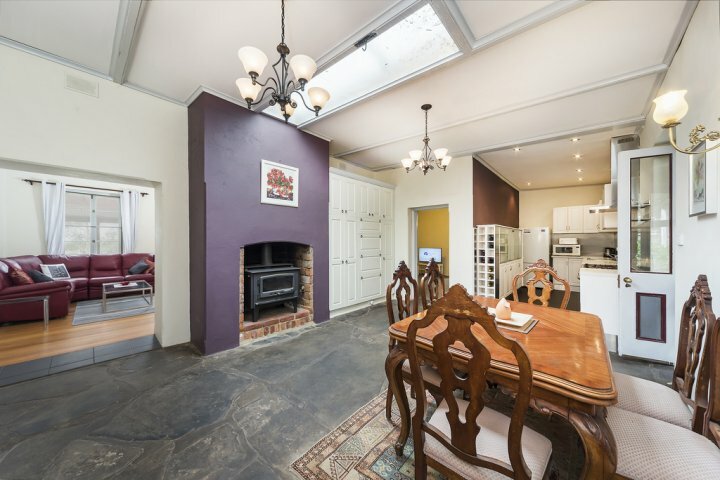 Each is beautifully appointed with a blend of new and antique furniture, polished timber floors, textural stone and mini orb ceilings for added warmth and charm. All feature private parking and outdoor areas with heaters and BBQs, In short, everything you need to (big deep breath in and out) really relax. 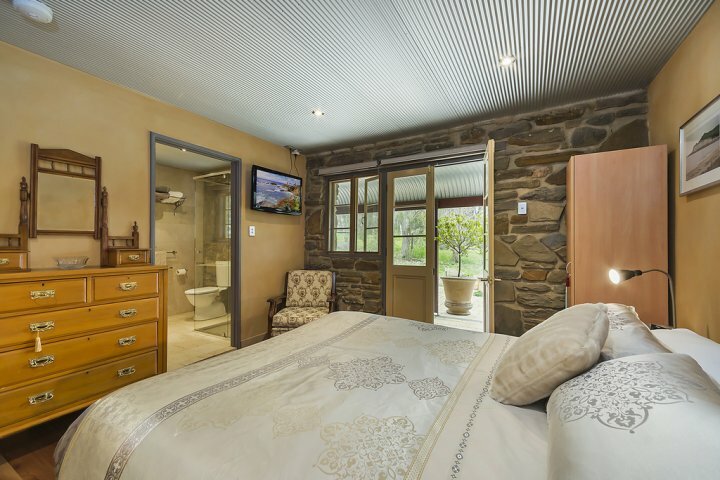 Adjoining Sunset Cottage in the old stone dairy, the one-bedroom Dawn Cottage is the ultimate retreat for couples who want that intimate stay with a dose of luxury and privacy. 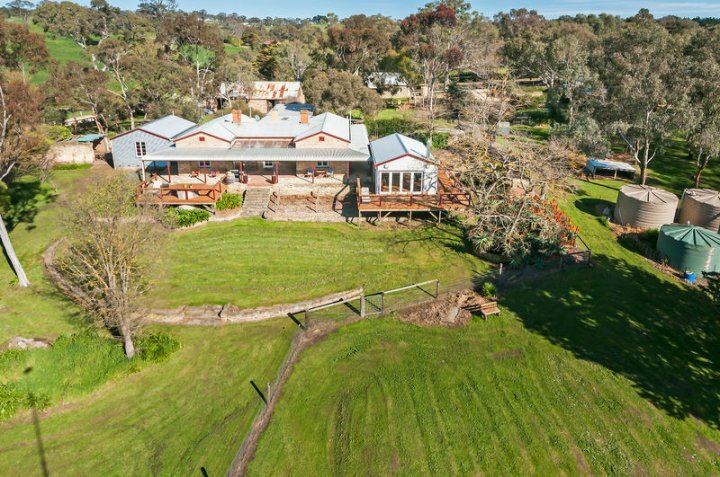 Enjoy a large private timber deck and paved BBQ entertaining area with elevated views of the original 1860 Homestead, original stone outbuildings, garden, paddocks, dam, surrounding hills, our own vines and livestock. 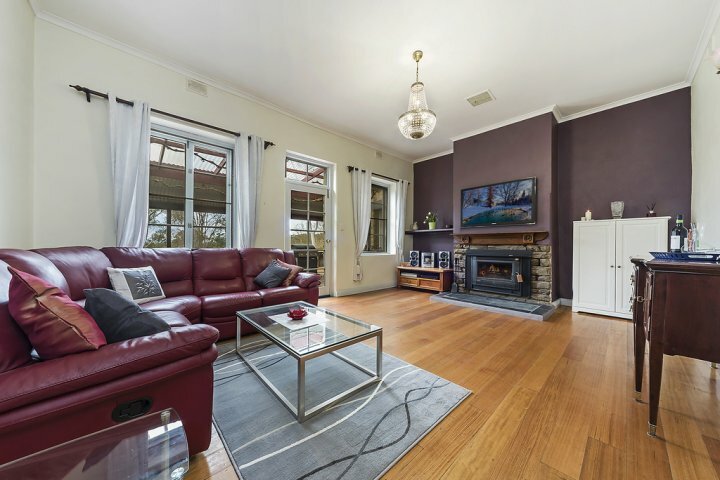 The cottages spacious open plan design features an exquisite mix of antique and new furniture including cedar dining table and large, comfy lounge. 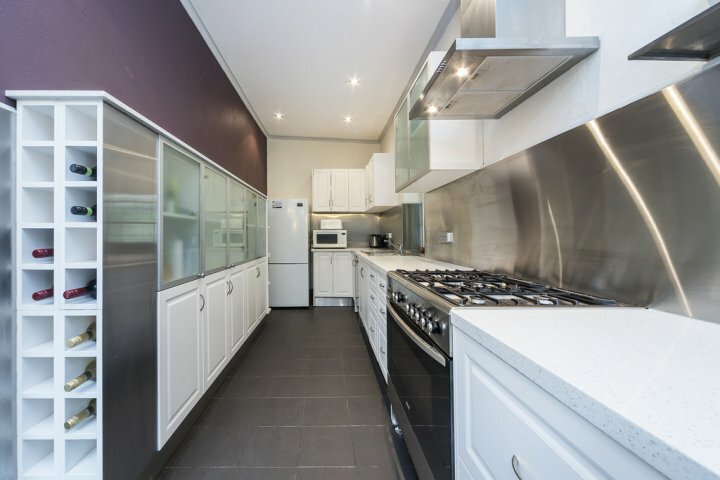 Cook up a lavish breakfast in the kitchen or have a BBQ on the deck. Amenities also include - 1 x Queen bed with 1000 thread sun-dried cotton sheets - Large en suite and deluxe cotton towels - Kitchen with granite bench tops, hotplates, bar refrigerator, dishwasher, microwave - Air conditioning - Flat screen TV - BBQ area - Private off-street parking. Quote - Thank you for the fantastic stay at Dawn Cottage last weekend. 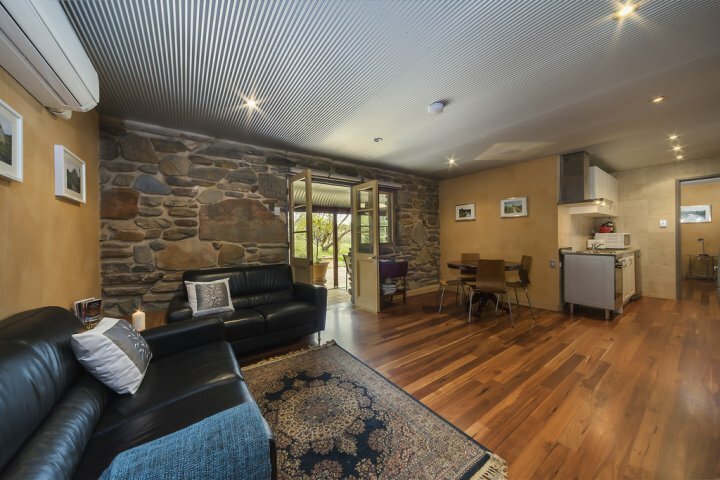 We really enjoyed the experience of the country life style, enhanced by your beautifully renovated cottages. We are planning to come back soon with some friends and stay in the Sunset Cottage. Grenville and Ornella. Quote - Thank you so much for a relaxing and pleasant stay. Its so peaceful here. We shall be back and recommend your cottages to friends and family. Brendan and Sarah. Quote - Thanks for a great stay. The cottage is really nicely done and we really enjoyed our stay here, well be back soon. Nigel. Studio apartment, queen bed, sun dried 1000 thread sheets, 3 seat lounge, flat screen tv, dining table, en-suite with shower, fully equipped kitchenette with granite bench top, dishwasher, bar fridge, cook top, microwave oven. Large elevated deck, outdoor heating and BBQ. Air conditioned. 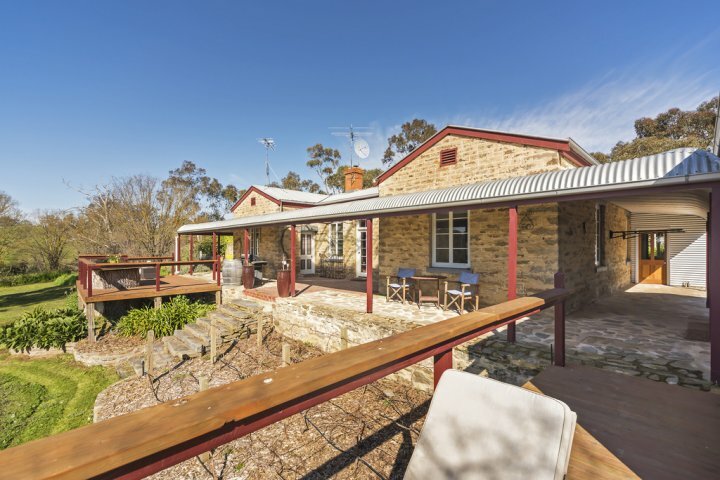 Created from the old 1860 stone dairy, the two-bedroom Sunset Cottage features open plan living, dining and kitchen areas with French doors that open out into a paved outdoor entertaining area with tranquil country views. 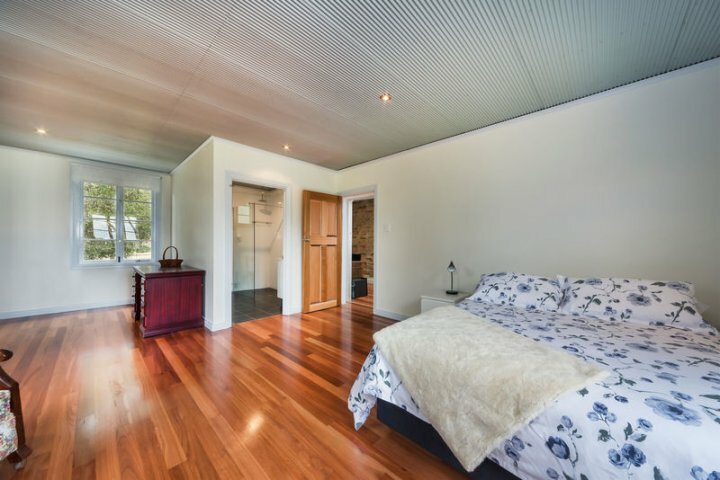 With warm timber floors, antique and contemporary furniture, modern amenities and a full kitchen, its designed for your absolute comfort and privacy. Perfect for families or friends on holiday (a maximum of 4 guests), the bedrooms are at opposite ends of the cottage, with each opening out via French doors to private landscaped gardens. The rate quoted is for a single or couple in one bedroom. 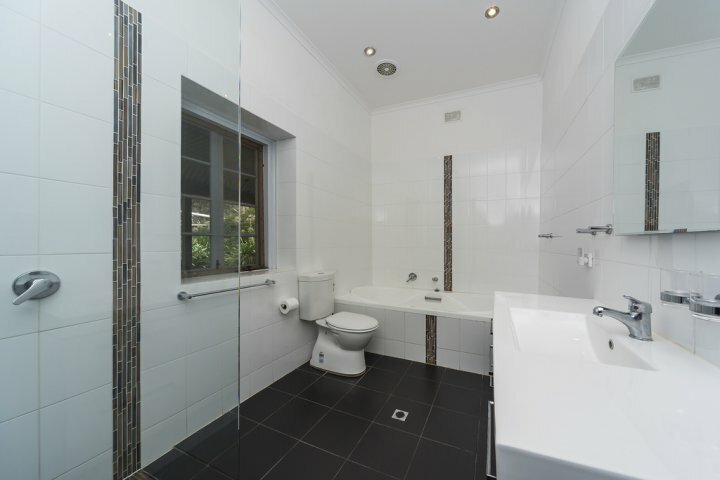 If the second bedroom/en-suite is required for 1 or 2 people use the extra person facility. Amenities also include - 2 x Queen beds with 1000 thread sun-dried cotton sheets - En suite and full sized bathroom with 2 person bath and deluxe towels - Full kitchen with granite bench tops, freestanding oven, family-sized refrigerator, dishwasher and microwave - Air conditioning - 3 x flat screen TVs - BBQ area - Private off-street parking for two vehicles. Quote - I would just like to say thank you for providing us with excellent accommodation. The cottages are exceptional and the little touches such as the fantastic breakfast, wine, port and chocolates were very nice. I hope we can come back and do it again some time. Jeb. Quote - We just want to say how much we enjoyed your cottage and what a great fit out, we will be back as soon as we get the time off. While we were in town there was a small market on and a reporter from your local paper took photos of David and I and we told them we stayed at your cottage and how lovely it was so we are hoping this went into the paper... Dianne. Quote - Thank you so much for your hospitality and for letting us stay at your beautiful cottages. We had a ball and wish we could have stayed longer... Sally and Kieran (and families). 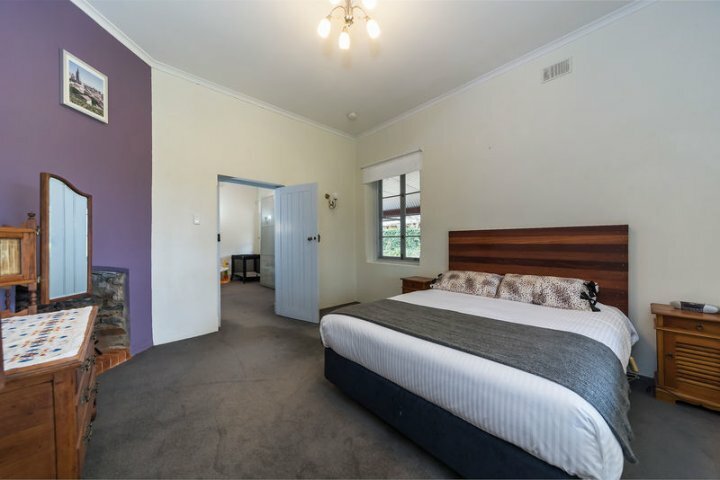 Two bedroom cottage, queen beds, sun dried 1000 thread sheets, separate lounge room, separate bathroom and one en-suite, 3 flat screen televisions. 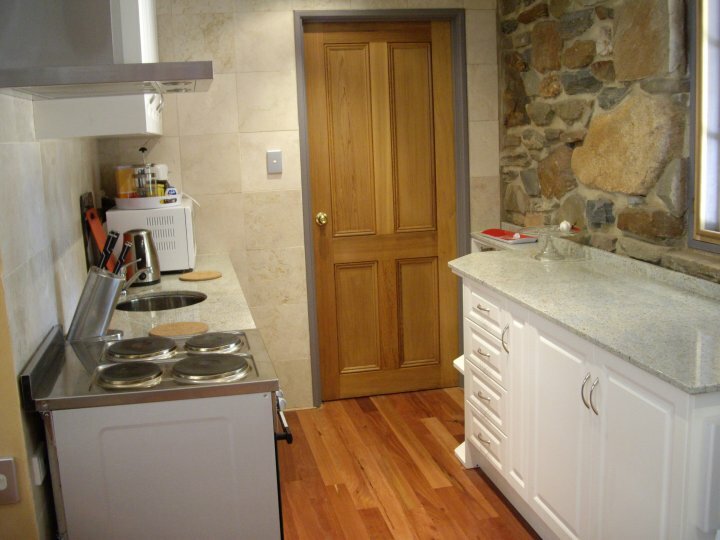 Fully equipped kitchen with granite bench top, dishwasher, fridge/freezer, electric cook top and oven plus microwave oven. Large private paved outdoor area , outdoor heating and BBQ. Air conditioned. Sunset Cottage - 2 night. 3 or 4 people. 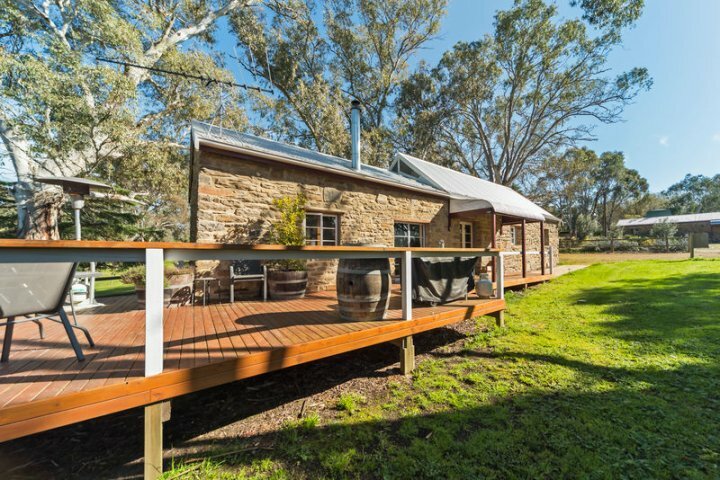 This old stone building has been in use since the 1860s, including as crop storage, a sleep-out, machinery shed and stables. Now its been reimagined into a secluded hideaway for two with the perfect ingredients for pure luxury. There is more of everything in The Stables its set on its own 500m2 block away from the other cottages, it includes a large living space (furnished with lovely antiques), a spacious entertaining deck, private garden, high ceilings, cathedral skylights, extra large spa bath and log fire to cuddle up next to. Amenities also include - 1 x Queen bed with 1000 thread sheets - 2 x large flat screen TVs - huge living area - Full kitchen , full sized oven, gas cooktop, family sized refrigerator, dishwasher, microwave - Polished timber floors - Large bathroom with spa, separate shower and deluxe towels - Extra private outdoor spaces with BBQ and outdoor heater - Extra Pamper Package available on request - Private parking - Firewood supplied between April and October Quote - We totally loved staying in your "Stables." The room was absolutely perfect, luxurious, and so well appointed. From the spa to the flat screen TVs, the fire and the gorgeous bed we had a wonderful time. Thank you so much! Barney & Kylie. Quote - Beautiful accommodation! The perfect way to spend our first morning together as husband and wife. Thank you very much! Andy and Mel. Quote - Thank you so much for a memorable stay here. You have been so sympathetic to restoring these buildings yet have applied all the modern appliances needed for the 5-star traveller. We loved the chickens and wild birds and the natural environment. Perhaps we are not your average clients, but we really appreciated all you did. We will be back. Alison and Bryan. One bedroom cottage, queen bed, sun dried 1000 thread sheets, separate lounge room, 2 flat screen televisions, separate bathroom. 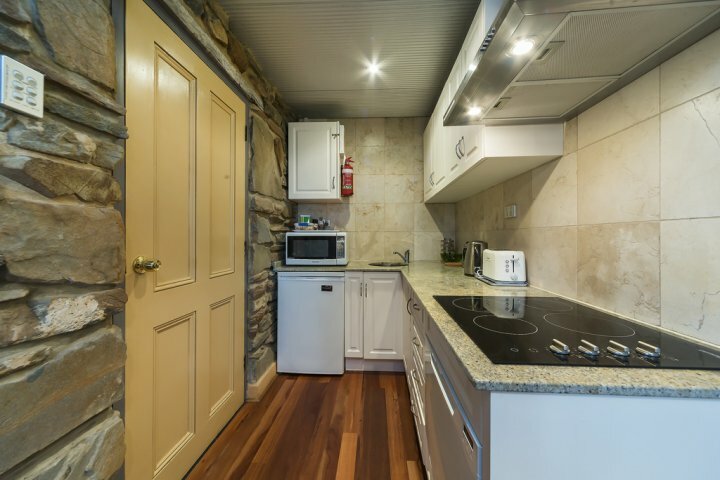 Fully equipped kitchen, dishwasher, fridge/freezer, gas cook top and electric oven plus microwave oven. High ceilings, wood fire combustion heater, ceiling fans, skylights, private grounds and elevated deck, outdoor heating and BBQ.